Whether you are a huge fan of Italian food and you are looking for the perfect pizza restaurant or you’d rather choose a gourmet restaurant, you will find plenty of options in Oxford. There are many several reasons why to go to a restaurant or food bar. For example, when someone come to visit us and we’d like to show them the best local dishes or if we want to make a good first impression on a date and book a romantic restaurant. Different options depending on budget, mood, time of the day or tastes. Thanks to our website you will be able to easily find from brunch restaurants to the best steakhouse nearby or an amazing seafood restaurant. Also, if you are in the mood of having some drinks and fun after dinner, many food establishments are open until late as well as there are many bars and pubs offering delicious homemade meals besides their happy hour offers for beverages. Cocktails bars, wine bars or sport bars are also included in our directory. 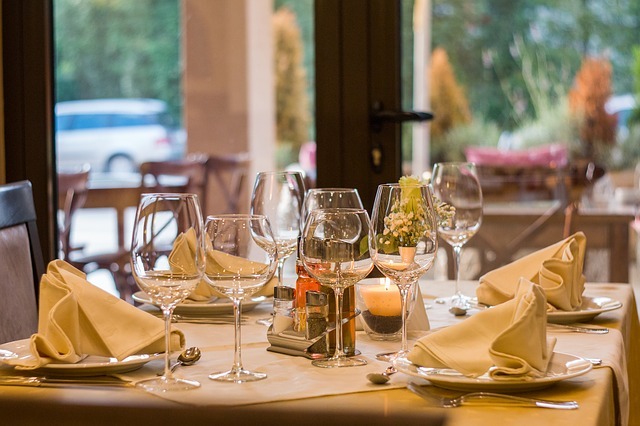 What makes a restaurant a good one? Oxford counts with an amazing gastronomy that is even getting highly valued in other countries, but, why do we choose a restaurant instead of another? Obviously, the food, nobody wants an undercooked or overcooked meal, for example. Tasty and freshly prepared food is a must. The atmosphere: sometimes the background can be annoying because of a very loud music or too many and too close tables, for example. The staff: from a good and experienced chef to welcoming staff. Friendly service and employees that can advise and know what they are talking about. At Infoisinfo we always work hard do be able to show you the best services in Oxford. This time, we want to help you out to find tasty and quality restaurants and bars for every occasion. Therefore, we’ve prepared a list of the best restaurants and bars in Oxford for you to find the perfect pace whatever your tastes and budget are. You could fine from fine dining restaurants to takeaways or fast food restaurants, for example. Contact details such as phone numbers, websites, address and opening times are provided on our website. Moreover, you can have a look at comments and restaurant recommendations from other clients. Make your restaurant reservation and enjoy your meal!